Coin Shop: Update Two Physical Rewards Have Just Sold-Out In Our Forum Shop! 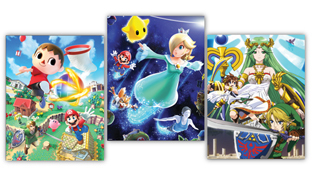 We just added both of the North American Club Nintendo Super Smash Bros. Poster Sets to our forum shop! We only have one of each of the sets in-stock so you'll have to act fast if you want to purchase them! Set #1 costs 17,500 WiiWareWave Coins and Set #2 costs 20,000 WiiWareWave Coins! What do you think of our new rewards? Let us know in our comments below! Both poster sets have been redeemed! Congratulations to those of you who were able to purchase the poster sets! 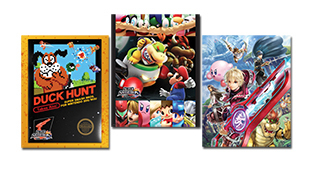 You should receive the posters within two weeks from the time we receive them from Club Nintendo. Re: Coin Shop: Update Two Physical Rewards Have Just Sold-Out In Our Forum Shop! I would like to get one of these poster sets, but I have nowhere near enough coins. They'll definitely be sold out by the time I earn enough coins for these rewards. These are such wonderful rewards for the loyalty shop! Dang these are awesome rewards! @Kain wrote: Dang these are awesome rewards! Too bad they're so expensive. Those look like some cool posters there. Both sets have been purchased. I'll try to update their product status this evening.